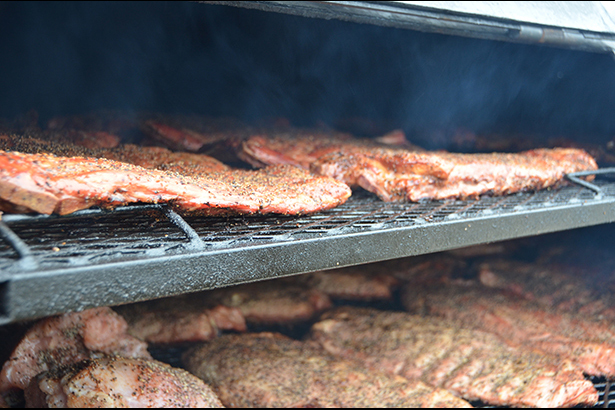 It’s no secret that Texans passionately love our state's smoky BBQ! Michael and I have been known to hop in our car for a weekend day trip just to try a new-to-us BBQ joint, and we definitely have our favorite places to enjoy tender brisket, juicy smoked sausage, and pork ribs. Texas Monthly magazine even has a dedicated BBQ Editor – something you don’t find in every state, that’s for sure! In a state as big as Texas, it’s a daunting task to try all of the best BBQ joints. Lucky for us BBQ-loving Texans, Texas Monthly periodically names its 50 Best BBQ Joints...in the World!…which are naturally all located in Texas. 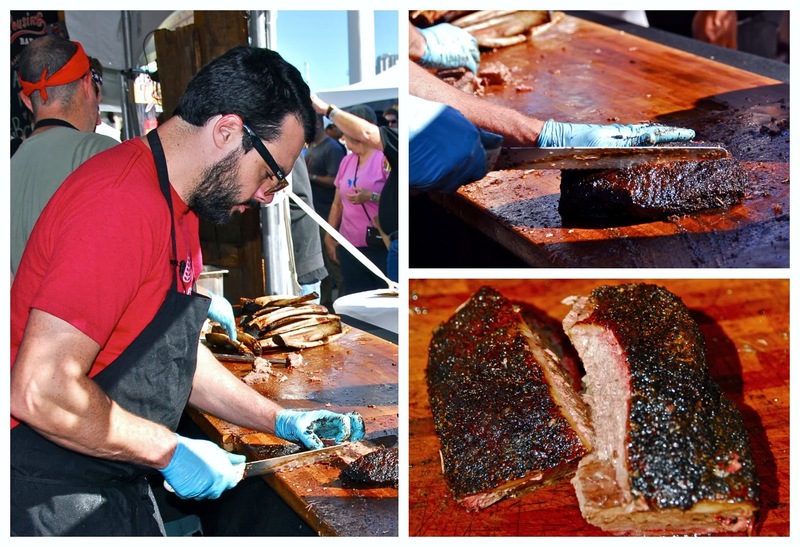 The magazine also holds its annual TMBBQ Fest in Austin. This popular festival features the state's very best BBQ joints and their pitmasters in one convenient location. BBQ lovers lucky enough to score a ticket get to sample the very best Texas BBQ in a single afternoon -- making the TMBBQ Fest a true Texas BBQ Nirvana. 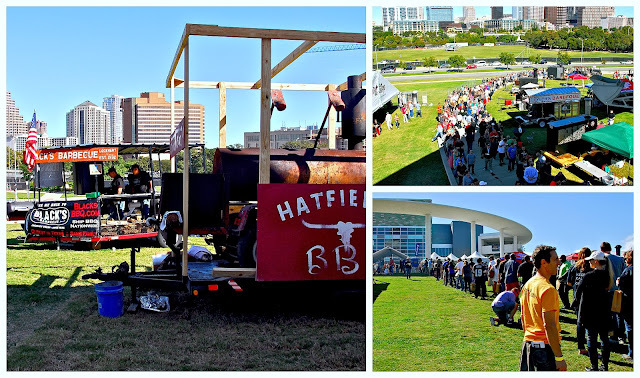 We attended the 2013 TMBBQ Fest and had a blast! The 2015 TMBBQ Fest is being held on Sunday November 2nd from 1:00 - 4:00 p.m. at Austin's City Terrace at the Long Center. More than 20 of the very best BBQ joints in Texas will be on hand to offer hungry BBQ lovers samples of their delicious smoked meats! Where else but the TMBBQ Fest can you try Austin’s Franklin BBQ (rated #1 in the state by Texas Monthly), Pearland’s Killen’s BBQ, and San Antonio’s The Granary 'Cue & Brew all in the same afternoon?!?!? Last time, we just managed to snag some juicy smoked brisket and beef ribs from Aaron Franklin just before his stash was all gone. 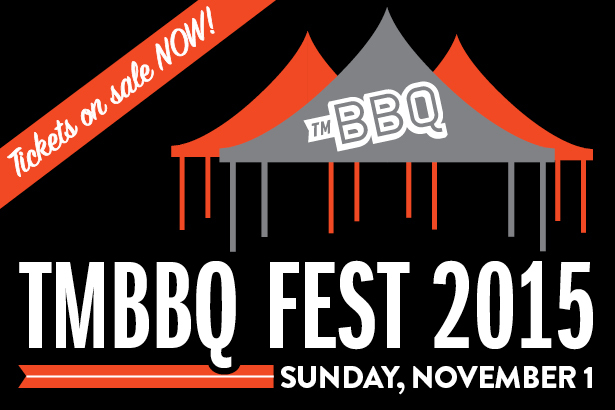 The TMBBQ sells out fast, so don't wait to buy your tickets at the gate -- they can instead be conveniently purchased online. General Admission tickets are $80 per person, and tickets for children 5 and under are just $10. There will also be live music performances to enjoy as you sample the BBQ. I'm happy to announce that The Weekend Gourmet will be attending this year’s TMBBQ Fest -- so be sure to follow us on Instagram (WEEKENDGOURMET) and Twitter (@TheWeekendGourmet) for tons of live pictures as we visit every booth and enjoy a cool Fall afternoon on the banks of Austin’s picturesque Lady Bird Lake!